He’s beloved by Reese Witherspoon and fans all over the globe. He has his own book and calendar and iPhone cases. He sports a world-class overbite and he’s not afraid to show it off. 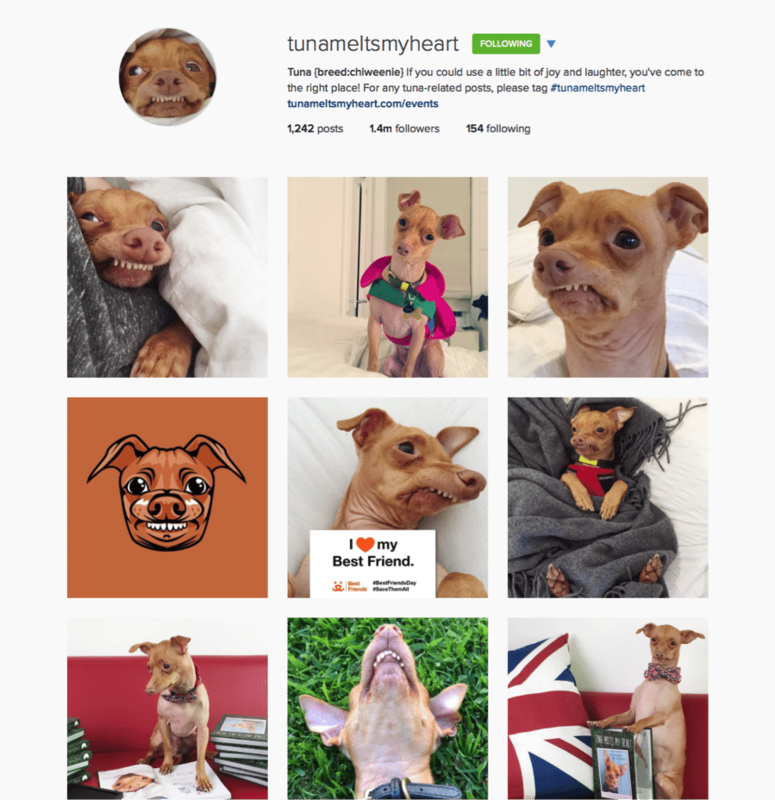 He’s Tuna the dog, a 4-year-old Chiweenie—that’s a cross between a dachshund and a Chihuahua—with 1.4 million Instagram followers. 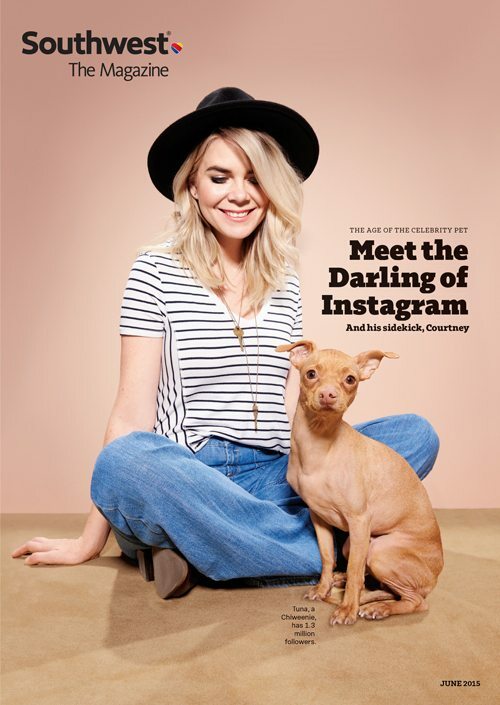 In honor of his cover story in this month’s edition of Southwest: The Magazine, which Pace publishes, here are a few things this social media–savvy mutt can teach you about how to build and nurture an audience. When Tuna’s owner, Courtney Dasher, started his Instagram account in the fall of 2011, she had no social media presence of her own and no intentions of making her pet famous. What she did have was a year’s worth of photos. She resolved to post one each day along with a playful caption, written from her perspective, about his canine exploits. More than three and a half years later, she’s still doing it. Early on, no one likely would have noticed if Courtney skipped a day, but she continued to post. Now it’s something her fans actively seek out. As evidenced by the thousands of comments on each snap, Tuna is a bright spot in many of their days. His goofy grin, shriveled neck and funny poses provide a welcome pause from the hustle and bustle of real life. 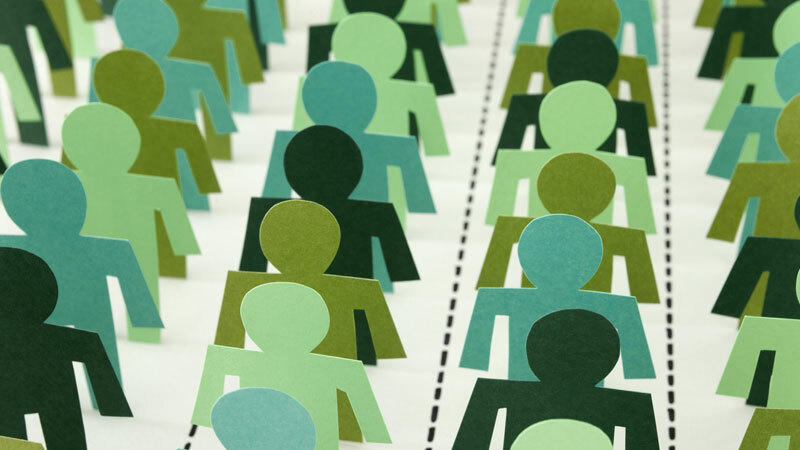 A large part of building a brand involves managing audience expectations. Courtney set a standard of posting every day. Because of her consistency, fans knew what to expect and came to rely on her to provide it. Aside from taking photos of Tuna and posting them to Instagram, Courtney spends much of her time—at least a couple hours each day—interacting with his audience. This includes reading and responding to thousands of comments, liking photos fans post with #tunameltsmyheart (and commenting on those photos) and, perhaps the most time-consuming activity, responding to countless emails. It’s a responsibility she takes very seriously, and she doesn’t hesitate to go above and beyond: sending personalized Tuna pictures (see image above) and following up with individual fans during important events in their lives. Courtney considers these interactions to be one of the primary reasons for Tuna’s continued popularity, and she may be right. Even with a following of 1.4 million on Instagram alone, no gesture is too small. With each like, comment and email, Tuna not only melts hearts, he reinforces to his audience all the reasons they let him into their lives in the first place. A personal connection is established, and with it Tuna goes from being a dog you like on the Internet to a dog you feel like you know. 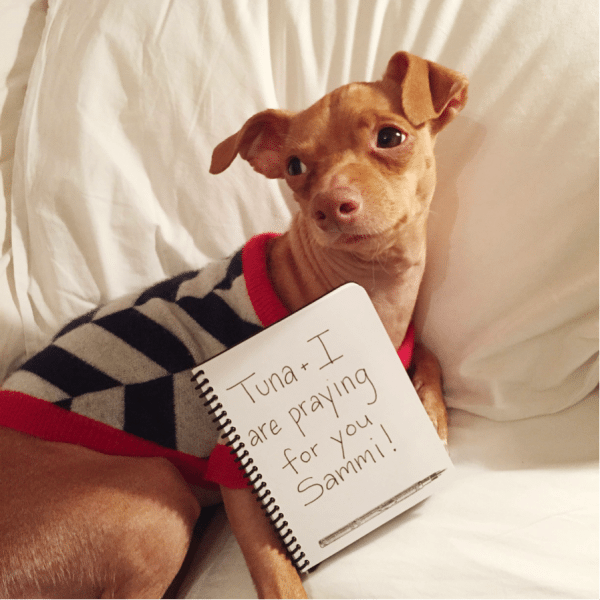 After Tuna went viral and his numbers started to climb, it didn’t take long for major brands to come calling. They wanted him to endorse their products and they were willing to pay handsomely for it, sometimes offering figures in the thousands for a single Instagram post. When it comes to whom to partner with, many celebrity-pet owners are divided on the matter. 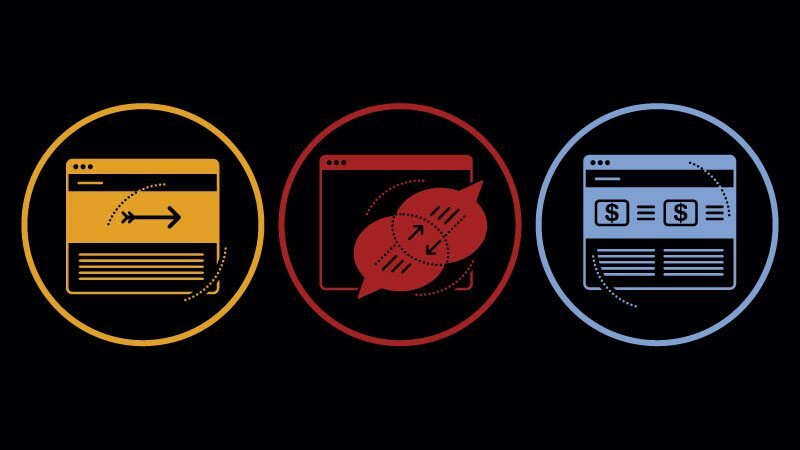 Some see no harm in a quick payoff—and with the fleeting nature of Internet fame, who can blame them? Courtney is staunchly in the more conservative camp and admits to declining 90 percent of the offers that come her way, including a recent Burger King campaign. It’s not that she doesn’t need the money; rather, she’s adhering strictly to her own self-defined brand statement, what she believes is the purpose of Tuna’s popularity: to put a smile on people’s faces and to raise money and awareness for homeless animals. If the offer on the table doesn’t align with those tenets, or if she thinks it will somehow alienate members of Tuna’s audience, the answer is no. It’s a move that’s unwittingly raised her profile and earned her even more respect from an already loyal following. One way Courtney has been able to drum up support is by hitting the road with Tuna to greet fans in person. 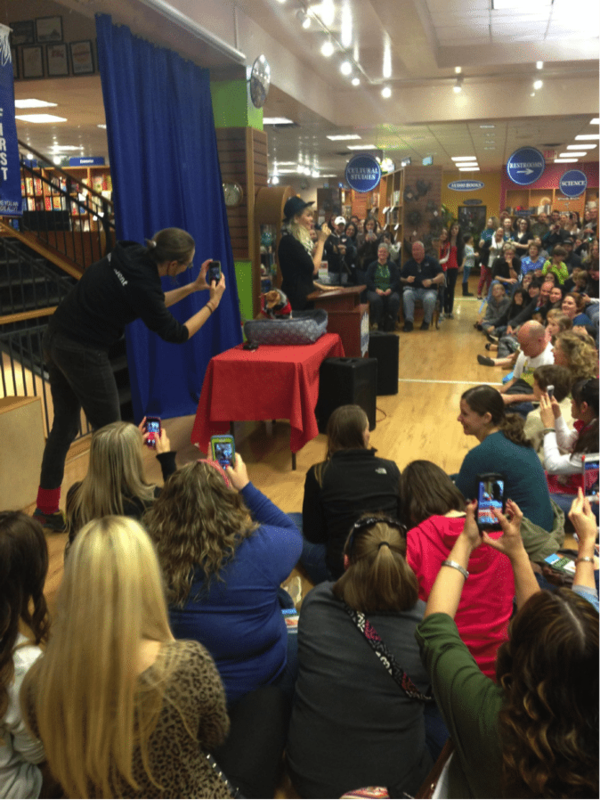 The pair’s first “Tuna tour,” sponsored entirely by BarkBox, included stops in multiple East Coast cities. They held a meet and greet in each location as well as raised money for a local animal shelter. 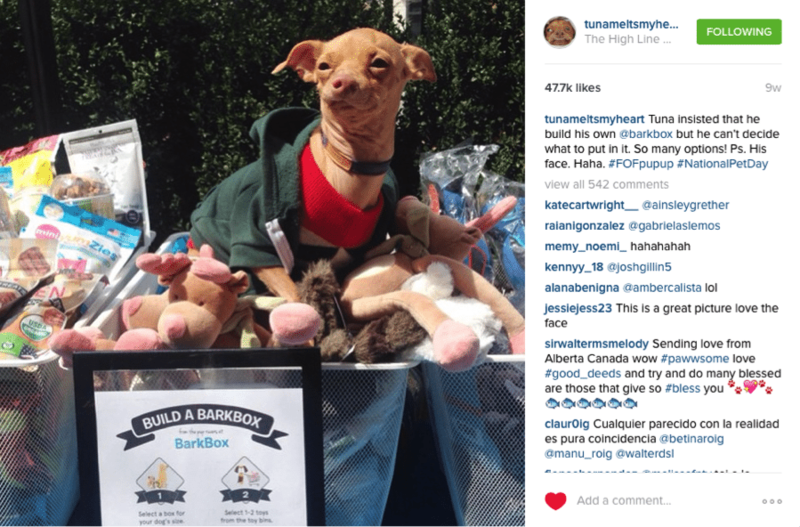 A year later, in the spring of 2015, they were at it again, traversing the country to promote the book Tuna Melts My Heart: The Underdog with the Overbite, which has since also been released in the UK. The second tour also raised money for area shelters in each city. Each tour, as well as the various meet and greets Courtney held in her hometown of Los Angeles, gave fans and even those largely unfamiliar with Tuna a way to personally connect with something they had previously only seen online. Additionally, the charitable aspect of each event further reinforced and reminded people what Tuna stands for. Rather than just look at his pictures, those in attendance could pet—and in some cases cuddle—the pint-size celebrity, not to mention take photos with him. 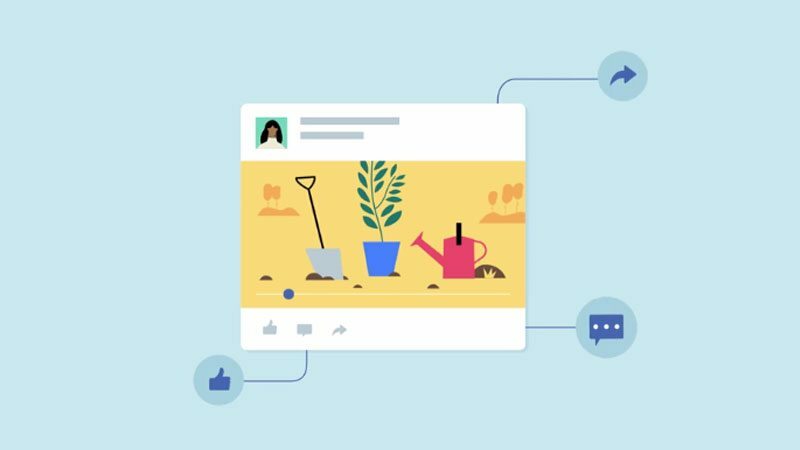 Establishing a physical connection with consumers is one of the best ways online-only brands can engender loyalty, as well as attract new followers. This goes without saying, but if you’re going to inspire and entertain millions it helps to put your best face forward. 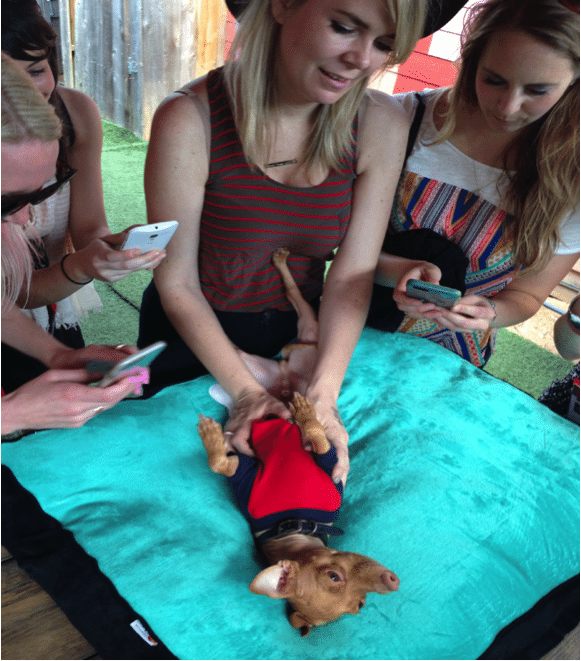 As Courtney demonstrates in the photo below, which was taken at a South by Southwest appearance, Tuna’s famous teeth are best viewed—and Instagrammed, of course—while he’s lying on his back. Behind the scenes it may not be the most flattering position, but it seems grinning and bearing it has worked out quite well for this little pup.